When I go out, I always have some must haves with me lately. I’ve probably mentioned this in a lot of other post but I love using cushions so I have to bring one with me when I go out. 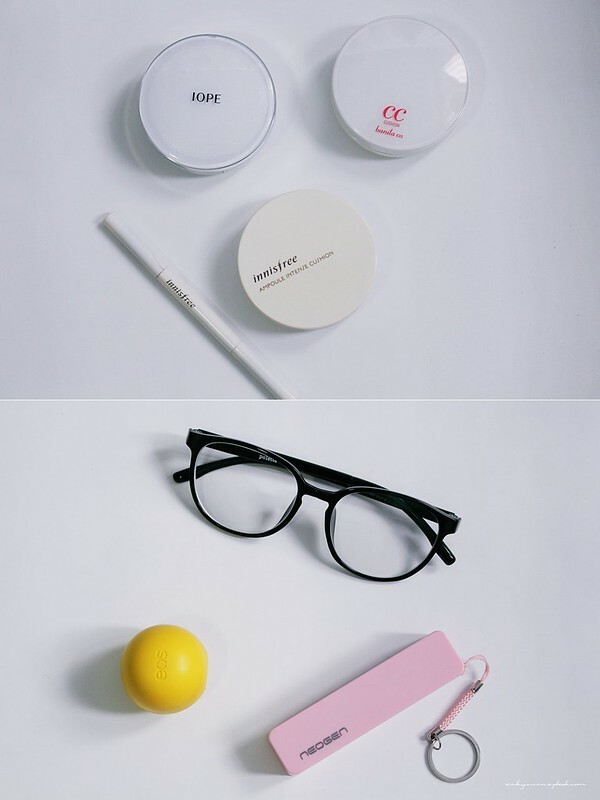 My other necessities of course includes my glasses and the pair from Polette eyewear is definitely on my favorites list for quite some time. The EOS lip balm is my all time favorite especially the lemon one. Since my phone is getting quite old like I am, I notice it loses battery much quicker and so I have to bring a portable battery with me all the time; this one I found on amazon works pretty well for it’s price (around $7!). I don’t like my stuff floating around in my bag so I tend to categorize them into little makeup bags. The Ipsy bags are really convenient for this purpose and I’ve been using them a lot lately. My favorite bag these few weeks is my bucket bag from Hollister which is small and convenient but not so small that I can’t fit anything in it. 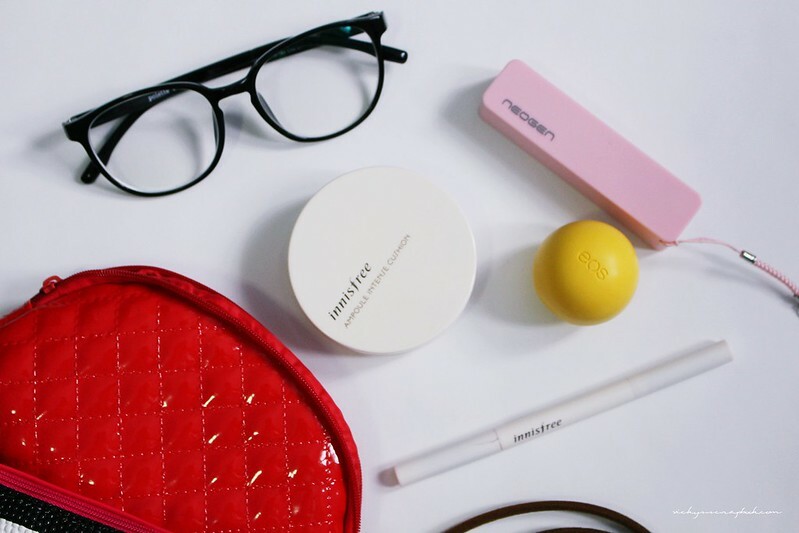 So, what’s typically in your bag? The ipsy bags are great design! Actually, its the hollister one that’s interesting, what material is it ? 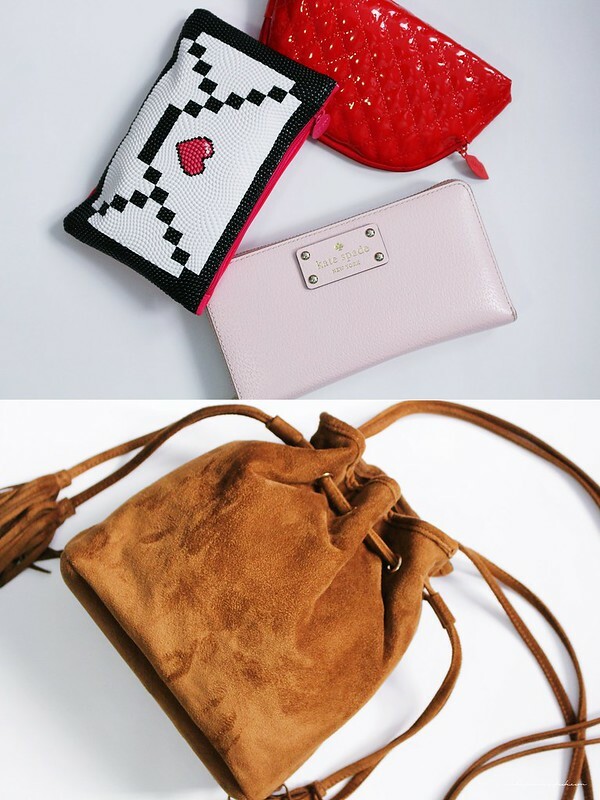 Do you have a link for the suede bag ?